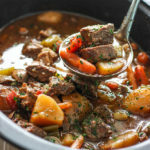 A hearty slow cooker beef stew with fall-apart, melt-in-your-mouth, tender chuck roast, potatoes and carrots. 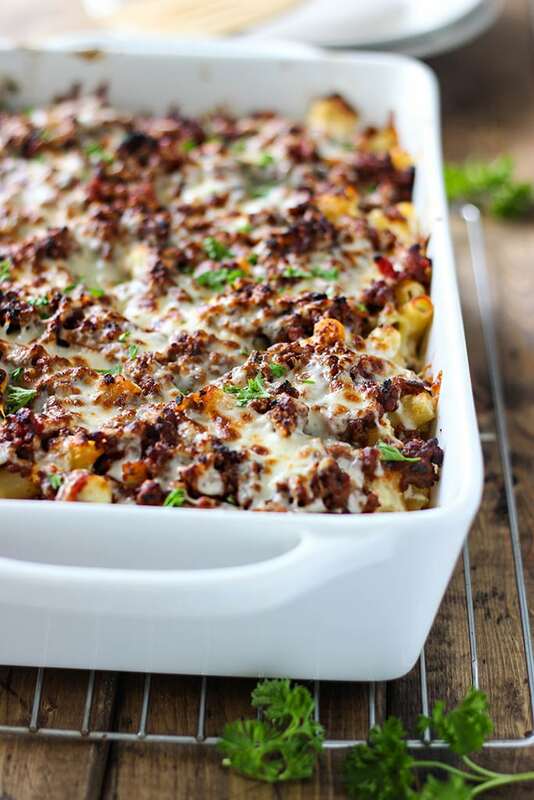 Here’s a comforting, warm meal that’s perfect for the cold weather. It’s mighty cold! 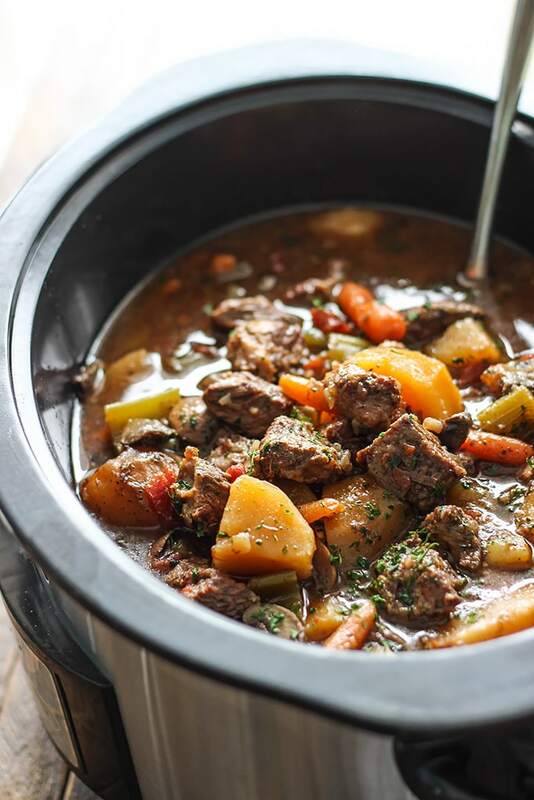 So today we’ll be doing a slow cooker beef stew to warm ourselves up. 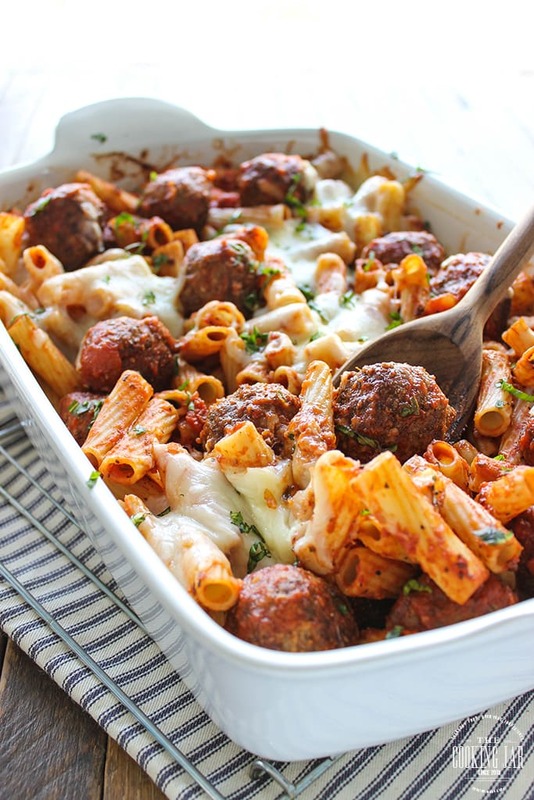 This is the perfect time to break out the crock-pot and let it do the cooking for you while you reward yourselves at the dinner table later. 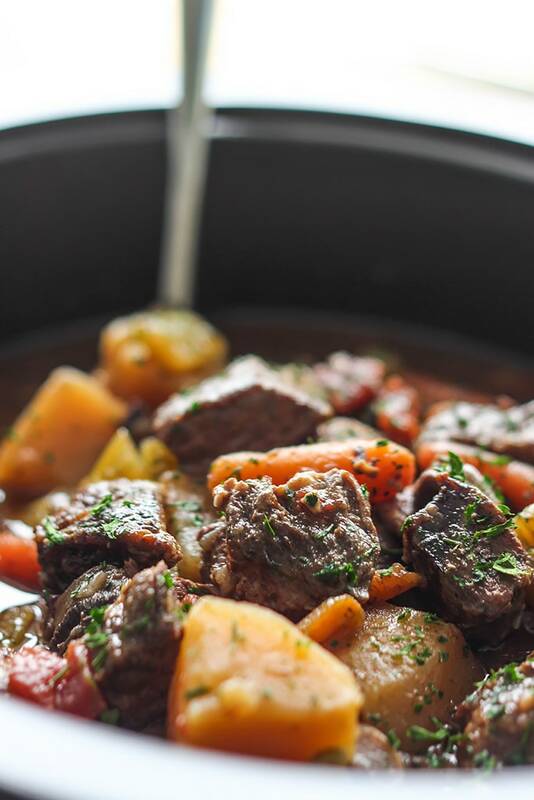 With chuck roast, potatoes, carrots and onions and some seasonings, you’ve got yourself a meal that goes well with some crusty bread to help fill you up. The meat is melt-in-your-mouth tender. So tender, I had to be careful ladling it into bowls to not break them apart. Sounds good? The bulk of the work comes from all the chopping and cutting. You’ll need the carrots and celery cut into 2″ pieces so they don’t dissapear into nothingness when cooked long and slow. By the same reasoning, the potatoes should be quartered to help them retain shape. 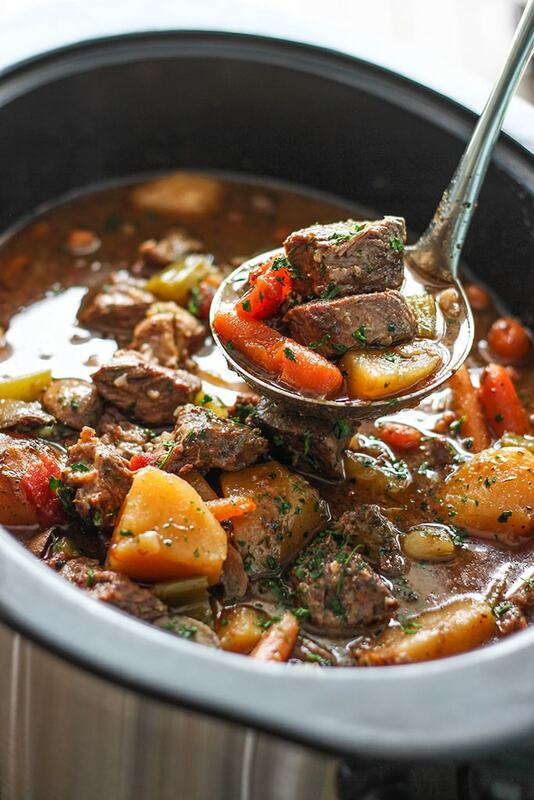 Use potatoes like Yukon gold or red potatoes so they don’t crumble too much in the stew. The same goes for the beef. Big chunks so they retain their shape! One of the best seasonings you can use for the stew is allspice. Contrary to its name, its not a combination of spices but has a combination flavor of cinnamon, cloves and nutmeg. If you don’t have allspice ready, you can use these seasonings instead. 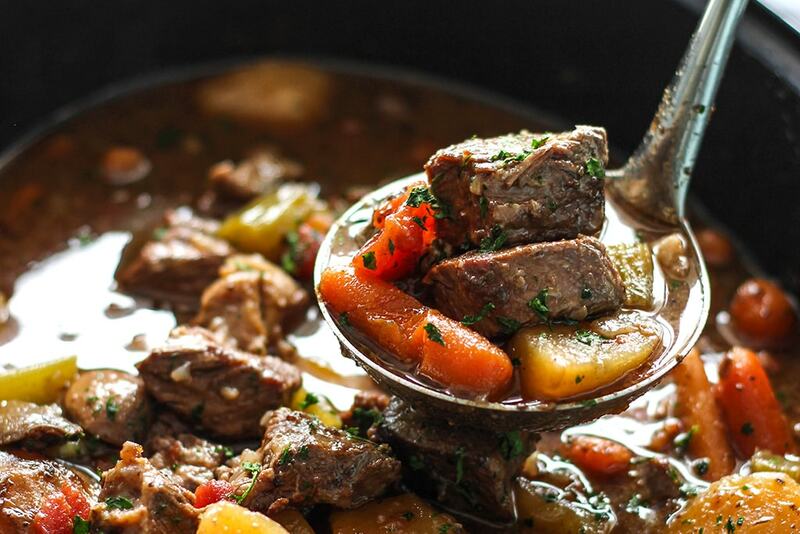 It gives the stew a unique taste and adds a wonderful flavor. 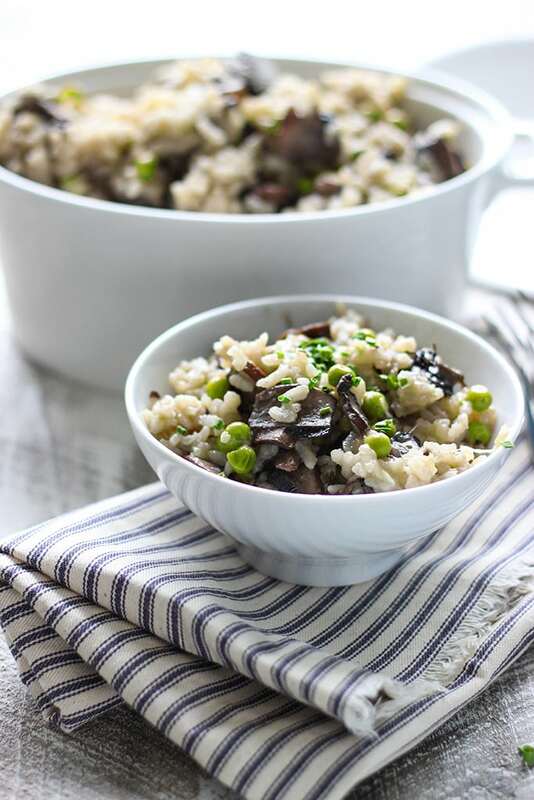 I used to use whole allspice but used ground for this recipe to make this spice a little more approachable. I know some people can get weirded out seeing things you aren’t used to in their food! There’s two ways you can do this. 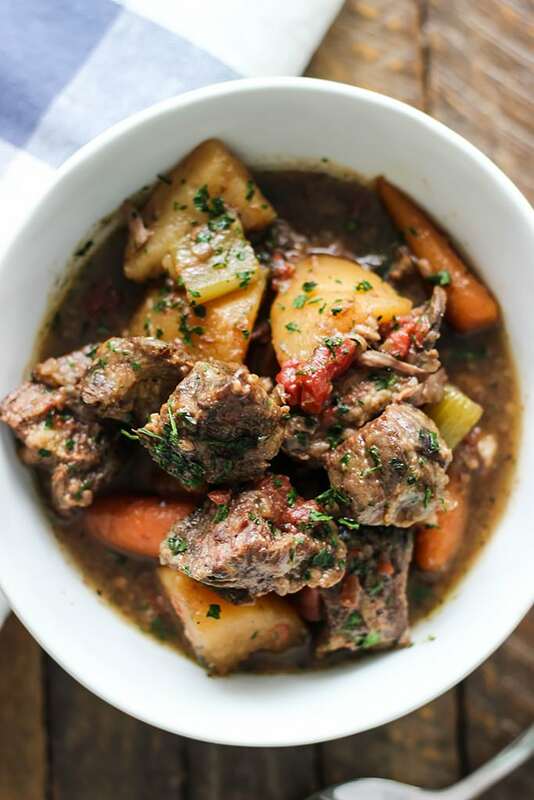 You can skip the searing and sauteing of the beef, onions and garlic and throw everything in the slow cooker and call it a day if you’re short on time. The other way is to dust the beef cubes in flour and pan-sear them all both sides to bring out more flavor. Saute the onions and garlic to bring their flavor out as well then deglaze the pan with wine (optional) and broth. THEN you chuck everything in and call it a day. I went with the slightly longer version. It’s about an extra 20 minutes cooking time but my reasoning was heck, if you’re going to spend all that time slicing and dicing veggies, you might as well try to make the best stew you can! And that’s about it. Ladle them into bowls and serve with some crusty bread. Enjoy! The recipe that I can see doesn’t mention anything in the direction about the worcestershire sauce? I added it with the herbs. Thanks! It’s fixed now. I appreciate you pointing it out, it was supposed to go with the rest of the seasonings.